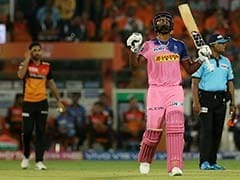 Rajasthan Royals (RR) and SunRisers Hyderabad (SRH) lost their inaugural matches in the IPL 2019. 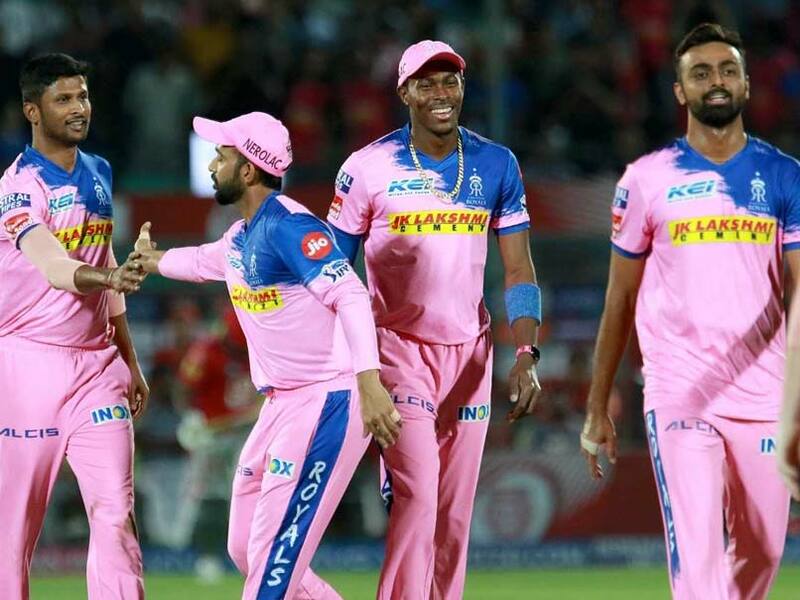 After being in the middle of the 'mankading' controversy in their inaugural clash, Rajasthan Royals (RR) would look to resurrect their fortunes in Friday's Indian Premier League (IPL) 2019 clash against SunRisers Hyderabad (SRH), who would also be aiming to put behind a disappointing first-day show. 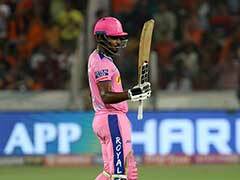 Rajasthan Royals' campaign started on a controversial note when Jos Buttler became the first cricketer in the IPL to be 'mankaded', the practice of running out non-strikers, who back up early, by bowlers on their delivery stride. The incident raked up a storm but Rajasthan Royals will have to get over the episode to ensure that their campaign remains on track. Buttler looked in great touch in their opener but he would look for more support from the likes of Ajinkya Rahane, Sanju Samson, Steve Smith and Ben Stokes in the batting department. In particular Smith, who returned to the IPL after missing the last edition following the ball-tampering scandal, would be eyeing more time at the crease ahead of the upcoming ODI World Cup. Dhawal Kulkarni and spinner Krishnappa Gowtham were brilliant upfront with the ball against Kings XI Punjab, but Stokes and Jaydev Unadkat leaked runs. Pacer Jofra Archer, who gave away just 17 runs in his four overs, looked threatening but wickets eluded him. 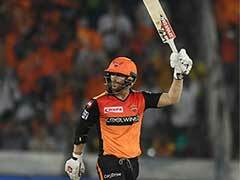 Just like Rajasthan Royals, SunRisers Hyderabad too didn't have a dream start to their campaign, losing by six wickets to Kolkata Knight Riders. 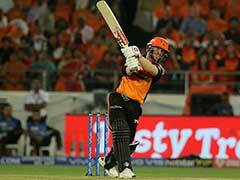 While the David Warner-led SRH's batting looked solid, the death bowling performance spoiled their chances against KKR. Warner, who is in imperious form after returning to competitive cricket following the one-year ban for ball-tampering, played true to his reputation, smashing 85 off 53 balls against KKR the other day. SRH know their chances heavily depend on Warner's success even though they also have the likes of skipper Kane Williamson, Jonny Bairstow, Vijay Shankar, Manish Pandey, Yusuf Pathan and Shakib Al Hasan in their ranks. The hosts bowling unit, led by Bhuvneshwar Kumar, had a good outing for most part of the match on Sunday before the Andre Russell storm blew them away in the last three overs. 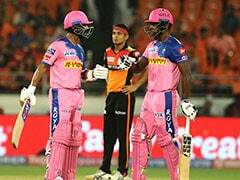 Needing 53 off the last three overs, Russell hammered Bhuvneshwar and Siddharth Kaul before Shakib was taken to the cleaners by young Shubman Gill in the final over as SunRisers Hyderabad lost the plot. And come Friday, Bhuvneshwar and the rest of the attack, which also includes Rashid Khan, will be eyeing a much-improved death bowling show. SunRisers Hyderabad: Kane Williamson (capt), Manish Pandey, Martin Guptill, Ricky Bhui, David Warner, Deepak Hooda, Mohammad Nabi, Yusuf Pathan, Shakib Al Hasan, Abhishek Sharma, Vijay Shankar, Sreevats Gowsami, Jonny Bairstow, Wriddhiman Saha, Siddarth Kaul, Khaleel Ahmed, Bhuvneshwar Kumar, Rashid Khan, Basil Thampi, Billy Stanlake, T Natarajan, Sandeep Sharma, Shahbaz Nadeem. Rajasthan Royals: Ajinkya Rahane (capt), Steve Smith, Ben Stokes, Jofra Archer, Jos Buttler, Ashton Turner, Ish Sodhi, Oshane Thomas, Liam Livingstone, Sanju Samson, Shubham Ranjane, Stuart Binny, Shreyas Gopal, Sudhesan Midhun, Jaydev Unadkat, Prashant Chopra, Mahipal Lomror, Aryaman Birla, Riyan Parag, Dhawal Kulkarni, Krishnappa Gowtham, Varun Aaron, Shashank Singh, Manan Vohra, Rahul Tripathi.